Clicking On Stuff Is Highly Recommended Here. Please Be Sure To Click On Pictures. To make a devout or earnest request for. 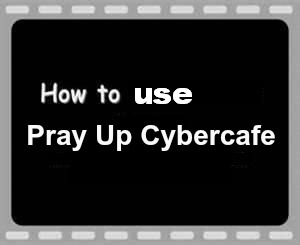 Cyber - A prefix that means "computer" or "computer network," as in cyberspace, the electronic medium in which online communication takes place. Each page is set up according to what that page is about. There is no scams, no virus's, or anyway some one can track you. You are safe here with us. For if GOD is with us and for us, then who or what can be against us? NO ONE AND NO THING! We ask that you look around and see what you can find on this site. If you find anything that needs to be reported on this site feel free to contact us about the problem and we will rectify as soon as possible. Also as you are looking around, We would like to ask that you contact us with your question's in order to help us build our frequently asked question base. In order to better help us to serve you. Thanks for sending a prayer up for us. We look forward to serving you more and more everyday. We Pray up to GOD always with love! GOD loves You and so do We! AMEN! In order to get into any chat room you must first contact-us and let us know the reason for getting into the chat rooms. We are currently looking for chat room Prayer leaders. Please contact-us for further info. We have just added the Bible Trivia Game! If you don't want to play that is ok with us. For if you just spend time reading the scripture and the answers and praying for each other, then that is what the site has been built for. We all could use to learn more everyday. We Thank you all for visiting us and spending time here with us. May your day be filled with blessings and love. Need help praying? Go Here Now! WE ARE HELPING EACH OTHER, ONE PRAYER AT A TIME!